Santa Barbara Tree Care Experts - Best of Houzz 2017! Arbor Services, Inc. is a full service tree care company staffed by Certified Arborists. We strive to exceed customer expectations for craftsmanship and customer service. JTS, Inc. is a well respected urban forestry company. Our business is serving the needs of residential & commercial clients, farmers, developers, orchards & vineyards, forest management & consultation, and non-profit foundations demanding superior performance, reasonable fees and exceptional service. We have served San Luis Obispo, Santa Barbara and Ventura counties for nearly 10 years and are a proud member of the Better Business Bureau. In order to continue to grow our business and serve our communities, over the past three years we have focused on expanding our business throughout the state of California. JTS, Inc. operates under CA Contractor's License #766025. JTS, Inc. is bonded, insured and has workman's comp. Peterson's Tree Care, Inc., is a full service licensed tree care company serving Santa Barbara and the surrounding areas. Our attention to detail and customer satisfaction is second to none. Give us a call today for your estimate. We help improve your property value with large tree removal, ornamental pruning, and brush removal that also prevents fires. Be proud of your lawn's appearance with large tree removal and other tree services from our company in Santa Barbara, California. Dependable Tree Service Montecito Tree Care serves the entire Santa Barbara, Goleta, Montecito, and Santa Ynez Valley. We have 34 years of experience and are eucalyptus and oak tree specialists dedicated to excellent service at competitive prices. To ensure your complete satisfaction, we are efficient and safe to prevent damage to your home or business. For Tree Trimming & Removal Services, contact us today at (805) 969-9069. Progressive Tree & Landscape supports its own Specimen Tree Nurseries allowing our valued clientele the opporunity of hand picking the perfect trees for their property. Masonry and other specialty work is also on display at our nursery locations. Over 45 years Serving Montecito and Santa Barbara. Mr. Tyburn has worked on over 8000 oak trees and has a BFA from Carnegie Mellon in Fine Arts. He offers a walking talking tour of your trees. It is an education! Take a Tour of the Trees he has worked on- head to his website for an amazing showcase of before and after photos! Locally owned and operated since 1995. Our company features a highly motivated and well trained staff of certified arborists that are not only eager to assist you with all your tree concerns, they are also local, experienced, and English-speaking individuals. Our team is equipped to handle everything from clearing large areas of land, removing dying trees and old stumps, and precision pruning of trees on your personal property. We always try to meet or beat competitors coupons! SB Tree Care is a professional tree service company headquartered in Santa Barbara, CA. We serve all areas of Santa Barbara County with a full-spectrum of tree management and property services, including tree trimming, tree removal, stump grinding, hedges, view clearing, defensible space clearing, chipping, hauling, free wood chips. ISA Certified Arborist, call us for a free estimate. 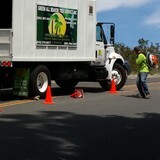 We are the best tree service professional in Santa Barbara. 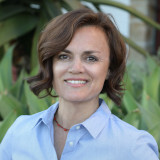 Hecker's Coastal Tree Care is owned and operated by Mike Hecker a Santa Ynez Valley native, and his lovely wife Trish. We are a full service tree care provider licensed, bonded and insured serving the Santa Ynez Valley and surrounding areas. Mike can be reached at (805) 896-0673 anytime day or night. Our company can complete every aspect of tree work. From general thinning and weight reduction in Oak trees, to side trimming miles of Eucalyptus wind rows, we have the ability to do it all, and our customers satisfaction is the most important element of our work. Your Mission Canyon, CA tree service professional or arborist might work in conjunction with another landscape professional to create a seamless landscape design. Here are some related professionals and vendors to complement the work of tree services: Landscape Contractors, Landscape Architects & Landscape Designers, Garden & Landscape Supplies. Find tree service professionals on Houzz. Look in the Professionals section under Mission Canyon, CA tree services. You can look through portfolios and read reviews to see what past tree care clients have to say.